This paper seeks to explore a very stark and simple question elicited by Quentin Meillassoux’s After Finitude: are materialism and speculation compatible? In order to outline a response I will take what might initially seem a somewhat arbitrary detour through a seemingly disparate line of thought, namely that of the Italian anti-Hegelian Marxist Lucio Colletti, focussing in particular on his 1969 Marxism and Hegel – a book which in its time had a remarkable impact on the discussion of historical and dialectical materialism. By means of this theoretical contrast, I will try to elucidate what appear to me as some of the stakes of Meillassoux’s powerful book. In this regard my guiding question will open onto some subsidiary ones, two of them being of particular significance: ‘Is non-metaphysical speculation possible?’ and ‘What is the difference between realism and materialism (and indeed between these two and naturalism)?’ In the background of these questions lies the issue of demarcation – especially the three-way demarcation between science, philosophy and ideology. The contrast with a line of inquiry within twentieth-century Marxism which bears a number of affinities with Meillassoux’s proposal is also significant, to my mind, because it allows us to address one of the strong rhetorical gestures that lends this short book its polemical, and one might even say political character, to the extent that can speak of a politics immanent to philosophy as a Kampfplatz, a battlefield, a Kantian image dear to Althusser. This gesture involves enlisting a speculative materialism against the pernicious extra-philosophical effects of correlationism, encapsulated by the notion of fideism. When it comes to these arguments, principally rehearsed in Chapter 2 of After Finitude, I think it is fair to say, in terms of the aforementioned issue of demarcation, that Meillassoux is engaging in an ideological struggle founded on the specific demarcation between philosophy and science, as the two relate to the questions of necessity and belief. Speculative materialism is here also an ideological operation, aimed at terminating correlationism’s collusion with irrationalism (‘Dialectical Materialism and Irrationalism’, incidentally, was the subtitle of Colletti’s book). Meillassoux brings his investigation into explicitly contact with the issue of ideology when he characterizes speculative materialism as an approach that does away with any ‘dogmatic metaphysics’, as a rejection of real necessity and sufficient reason grounded in the following operation: ‘to reject dogmatic metaphysics means to reject all real necessity, and a fortiori to reject the principle of sufficient reason, as well as the ontological argument, which is the keystone that allows the system of real necessity to close in upon itself’. He goes on to declare that ‘such a refusal of dogmatism furnishes the minimal condition for every critique of ideology, insofar as an ideology cannot be identified with just any variety of deceptive representation, but is rather any form of pseudo-rationality whose aim is to establish that what exists as a matter of fact exists necessarily’ (33-4). At bottom, Meillassoux wishes to combine and revitalise two aspects of the Enlightenment critique of metaphysics and religion. On the one hand, a speculative materialism is aimed at undermining the dogmatism of necessary entities, the dogmatism of classical metaphysics, rationalism included. On the other, speculative materialism is targeted against the way in which correlationism makes any belief equally legitimate by rejecting the absoluteness of reality (i.e. by making the archi-fossil unthinkable). But this entails that the critique of metaphysics not be a deflationary, relativist or conventionalist critique, in other words that it not be a correlationist critique. The brilliance (but as I will suggest also the problematic character) of Meillassoux’s enterprise stems from the manner in which he articulates the two seemingly antinomic requirements of anti-dogmatism and speculation. Accordingly, as he writes ‘we must uncover an absolute necessity that does not reinstate any form of absolute necessary entity’, thus demarcating absolutising from absolutist thought, and speculation from metaphysics. This requires resisting what Meillassoux calls the ‘de-absolutizing implication’, which posits that ‘if metaphysics is obsolete, so is the absolute’ (34). Kantianism, or, in Meillassoux’s vocabulary ‘weak correlationism’, is partially responsible for this, though the fact that it maintains an uncorrelated non-contradictory real as thinkable entails that it does not harbour the same irrationalist consequences as strong correlationism, especially in the latter’s Heideggerian or Wittgensteinian varieties. It is in discussing strong correlationism that Meillassoux attempt to infuse speculative materialism with the polemical spirit of the radical Enlightenment is particularly in evidence, leading to the formulation of what we could call an absolute Enlightenment. Meillassoux’s indictment of strong correlationism as a new obscurantism, as a kind of carte blanche for any and all superstitions centres on the category of facticity. The latter designates those structural invariants or transcendental parameters which govern a given world or domain of correlation without themselves being open to rational explanation, deduction or derivation. In this respect, facticity is a form of reflexive ignorance. In Meillassoux’s words, it ‘consists in not knowing why the correlational structure has to be thus’ (39). Facticity is here synonymous with finitude and with a form of anti-foundationalism whose converse, as Meillassoux writes, ‘is that nothing can be said to be absolutely impossible, not even the unthinkable’. Strong correlationism generates a form of philosophically-vouchsafed permissiveness, which makes it impossible to establish the very criteria that might make it possible to ‘disqualify’ irrational discourses. As he notes, while weak correlationism had done away with naïve realism, strong correlationism further undoes a notion of the absolute by pitting the facticity of the correlation against any speculative idealism. On the basis of this argument, Meillassoux frames his own project in the classical terms of the French lumières, especially of Voltaire, as a struggle against fanaticism (characteristically, Meillassoux does not use the Kantian definition of fanaticism, or Schwärmerei, which for Kant involves the hyper-rationalist delusion of ‘seeing the infinite’, against which the critical philosophy erects its iconoclastic proscriptions). The relation between fideism and fanaticism is somewhat fuzzy, but it is intriguing, and one might argue somewhat worrying, that Meillassoux flirts with the conservative thesis that a relativistic proliferation of beliefs, beyond any horizon of legitimacy, is a form of de-Christianization, the obverse of his equally questionable conviction that critical Western rationality is a ‘progressive rationalization of Judeo-Christianity under the influence of Greek philosophy’ (47). In pure Enlightenment style, Meillassoux wants to argue that strong correlationism, in colluding with the religionization of reason, has left us powerless to argue rationally – rather than on ad hoc moral grounds – against all varieties of fanaticism, including, in an odd allusion, those which may deal out ‘the worst forms of violence’, whose claim to access an irrational absolute correlationist fideism cannot allow itself to disqualify. 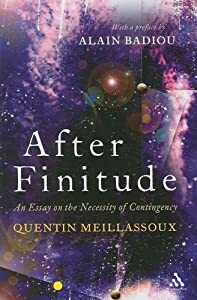 At the end of Chapter 2 of After Finitude, Meillassoux even goes so far as to claim that contemporary ‘fanaticism’ is the effect of critical rationality, a by-product of the latter’s effectively emancipatory attack on dogmatism, which has in removed any fetter on the claims of ‘blind faith’. Without dwelling on the under-determined and exceedingly allusive references to contemporary fanaticism which lend Meillassoux’s claims their charge of urgency, as well as on the rather dubious claims made about the relation between Christianity and Western reason, in the rest of this presentation I want to challenge the plausibility of Meillassoux’s Enlightenment reloaded, as I mentioned by a detour through Colletti’s Marxism and Hegel. I want to put forward two inter-related arguments. 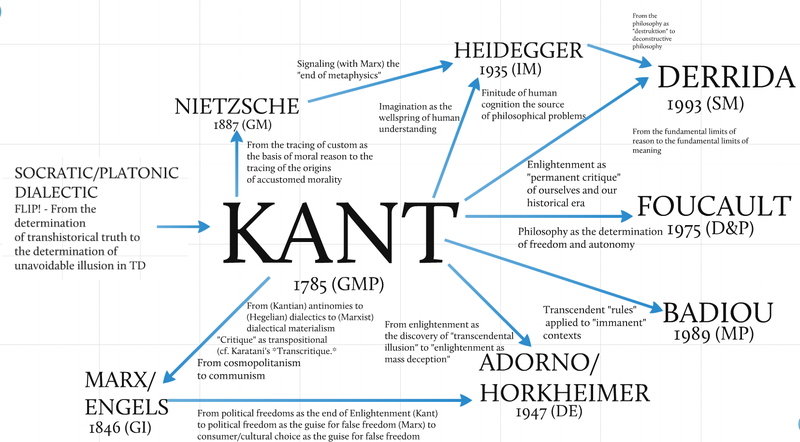 First, that attending to the distinction between Kant and Hegel as formulated by Colletti, allows us to cast doubt on the very possibility of a speculative materialism, and provides a qualified Marxian defence for weak Kantian correlationism as a component of a genuine materialist thinking. Second, and much more briefly, that Colletti’s related discussion of hypostasis and ‘real abstraction’ demonstrates the weakness of Meillassoux’s attempt to revitalise the Enlightenment attack on fanaticism. Behind these two claims lies the conviction that, despite its undeniable subtlety, Meillassoux’s attack on the idealist parameters of correlationism is ultimately idealist in form, a problem which also affects it attempt to ideologically intervene, through a recasting of the Enlightenment fight against fanaticism, in the contemporary ‘return to the religious’. The fundamental principle of materialism and of science … is the principle of non-contradiction. Reality cannot contain dialectical contradictions but only real oppositions, conflicts between forces, relations of contrariety. The latter are ohne Widerspruch, i.e. non-contradictory oppositions, and not dialectical contradictions. These assertions must be sustained, because they constitute the principle of science itself. Now science is the only means of apprehending reality, the only means of gaining knowledge of the world. There cannot be two (qualitatively different) forms of knowledge. A philosophy which claims a status for itself superior to that of science, is an edifying philosophy – that is, a scarcely disguised religion. (‘Marxism and the Dialectic’, 28–9). Rather than relying on a notion of material reality for the argument against dialectical contradiction, Meillassoux’s argument regarding non-contradiction is wholly intra-speculative. Non-contradiction must be respected to ward off the metaphysical spectre of an absolutely necessary entity that forfeiting this principle would involve. Thus, contrary to the customary link between dialectical contradiction and an ontology of flux or process, for Meillassoux a contradictory entity ‘could never become other than it is because there would be no alterity for it in which to become’ (69). In other words, and I’ll try to develop this point, while Colletti takes a materialist critique of the dialectic to imply the extra-logical character of reality, the fact that deriving the dynamics of the real from the logical is illegitimate and idealist, for Meillassoux the denial of real contradiction takes place on intra-logical grounds. But to develop this point further, it is worth looking further at the rationale behind Colletti’s anti-Hegelian revision of Marxism. Let’s begin where the contrast appears greatest: Colletti’s plea for a pro-scientific materialism takes the form of a defence of the finite. At the very start of his book, he isolates the crux of idealism in Hegel’s statement from the Science of Logic according to which: ‘The idealism of philosophy consists in nothing else than in recognizing that the finite has no veritable being’ (7). Consequently, ‘the finite is ideal’, in two senses: it is a mere abstraction, a fleeting isolation from the concrete universality of the Whole, and, conversely, it is only granted its true being when comprised as a moment of the ideal. In Hegel’s formulation, from the Encyclopaedia: ‘The truth of the finite is … its ideality. … This ideality of the finite is the chief maxim of philosophy’ (14). The labour of speculative reason (Vernunft), as opposed to the intellect or understanding (Verstand), is to traverse the various configurations of the finite and to undo its separateness. Colletti will diagnose this contempt towards the isolated thing and the thought which thinks it (mere intellect as opposed to reason) as a constant within idealist philosophy, including that of dialectical materialism – the polemical object of his book. For Colletti, sympathy towards the Hegelian critique of the intellect and of the Kantian restrictions placed on reason – which he encounters in a motley host of thinkers, from Rickert to Marcuse, from Bergson to Lukacs – is a sign of an abdication of materialism and of a position towards science which, in according philosophy the sovereign right to legislate about reality, turns the former it into a ‘scarcely disguised religion’. What’s more, to the extent that science is seen to isolate entities and treat them as both finite and external to the mind it is paradigmatically a product of the intellect, and is consequently viewed as a merely abstract and incomplete form of thinking – a feature most evident in Bergsonism, but present, as Colletti demonstrates, in a broad range of nineteenth and twentieth century philosophy. For Colletti, speculation, conceived as the pretension of philosophical thought to logically encompass being, is fundamentally incompatible with materialism. Indeed, he insists on Hegel’s conviction that he was returning to rationalism, but stripping it of its reliance on a materialist, or scientific form of argument. In passing, we could note that Meillassoux’s return to rationalism, and to Descartes in particular, takes the inverse approach: maintaining the materialist form of rationalism, and stripping it of its idealist or theological content. Thus, it is the repudiation of the finite as separate and self-standing, and the attempt to overcome finitude, understood as the inability for thought or logic to determine being, which for Colletti marks idealism’s hostility to scientific materialism. In other words, it is because of a denial of finitude, and not because of its assertion, that for idealism ‘an independent material world no longer exists’ (19). The idea of real opposition, Kant’s Realrepugnanz, is significant because it is only by upholding the principle of non-contradiction and the idea of real exteriority in the material world that materialism can avert being enveloped by an idealism for which the material world is merely an incarnation of a fundamentally inclusive and unlimited reason. As Colletti remarks, ‘since Hegel transforms the logical inclusion of opposites that is reason into the very principle of idealism (reason is the sole reality, there is nothing outside it), he excludes precisely that exclusion of opposites (the externality of being in relation to thought) that is the very principle of materialism)’ (34). In Marxism and Hegel, idealism qua speculation is identified with ‘the negation of any extralogical existence’ (49). This is also why materialism is always to some extent an Unphilosophie, an anti-philosophy, based on the idea of an externality of thought to being, and on a related irreducibility of scientific epistemology to speculative logic. While, in Colletti’s formulation, ‘Kant constantly remarks that if one wants to have knowledge, one must refer thought back to that which is other than itself’ (202), Meillassoux’s attempt to break out of a correlationist circle of Kantian provenance into what he calls ‘the great outdoors’ involves generating a new figure, under the aegis of a necessary and radical contingency, of thought’s Parmenidean identity with being, or, as he very lucidly outlines, inventing a novel type of non-metaphysical speculation. In Colletti, the scientific content of Kantian finitude – severed from its moral dimension – is to prohibit the self-sufficient of thought, i.e. speculation. In his words: ‘If one denies that there exist premises in reality for thought, then one is forced to take up knowledge itself as a presupposed and given reality’ (89). Accordingly, it is imperative that epistemology, understood as the study of thought’s relation to being as relates to the scientific enterprise, not be reduced to logic, the theory of thought’s coherent relation to itself. Among the issues at stake in this contrast is the standing of the absolute. Colletti and Meillassoux seem to converge on the notion of the absolute as something which is separate from what the latter would refer to as a correlationist circle. As is stated at the beginning of Chapter 2 of After Finitude, the task of speculative materialism ‘consists in trying to understand how thought is able to access the uncorrelated, which is to say, a world capable of subsisting without being given. But to say this is just to day that we must grasp how thought is able to access an absolute, i.e. a being whose severance (the original meaning of absolutus) and whose separateness from thought is such that it presents itself to us as non-relative to us, and hence as capable of existing whether we exist or not’ (28). In Colletti’s account it is precisely this absoluteness of extra-logical reality which is the nemesis of idealism. As he notes: ‘For Hegel, the ‘“intellect” is dogmatic because it makes the finite absolute. The meaning of this term is the same as its etymology: solutus ab…, freed from limitations, existing on its own, and therefore unrestricted and independent’ (82). But, and this is the important point, Meillassoux does not limit himself to the severance of extra-logical reality, precisely because his refutation of correlationism is a logical, or speculative one. Looking through the prism of Colletti’s critique of Hegelianism, we can recognise two sense of the absolute in After Finitude: on the one hand, the absoluteness of the archi-fossil, an absoluteness that fits quite well with Colletti’s defence of the finite against its idealist sublations; on the other, the absoluteness of a reason or logic which is assumed to be congruent with being, and which can legislate about modality and change with no reference to anything extrinsic to it, be it experience or matter. The uniqueness of Meillassoux’s account lies of course in the dextrous and fascinating manner in which he seems to need the second absolute, the absolute of speculation (or what we might call the absolute absolute) to shore up the second (the relative or negative absolute, the absolute from thought) and defeat correlationism. Viewed from the vantage point of Colletti’s argument, Meillassoux poses the ontological presuppositions of correlationist epistemology, but resolves it by logical means, thus obviating his own materialist aims, and creating something like a detotalised and contingent ‘logical mysticism’, to employ Marx’s characterisation of Hegel’s system. We could thus articulate this contrast in terms of the distinction between a materialism of the intellect and a materialism of reason, or a realism of the intellect and a realism of reason. From the vantage point of Colletti’s defence of intellect against reason, After Finitude’s attempt at defending the expansive and speculative uses of a ‘totally a-subjective’ reason by getting rid of fideism throw out with it the criticism, revision and scientificity that marks the extra-logical character of reality in a Kant-inspired materialist epistemology. But is a restatement of Kantian epistemology as a materialist precursor all that there is to Colletti’s position? No. Crucial to Marxism and Hegel is the highlighting of Marx’s theory of real abstraction, to wit the idea that the excesses of speculation and the hypostases of idealism are not merely cognitive problems, but are deeply entangled with abstractions that have a real existence in what, following Hegel, Marx was wont to call an upside-down world. Thus the State, and its philosophical expression in Hegel, and Capital, and its theoretical capture in the political economy of Smith and Ricardo, are not simply thought-forms that could be dispelled by some enlightened emendation of the intellect, or a valiant combat against superstitions. As Colletti writes: ‘For Marx, in fact, metaphysics is the realism of universals; it is a logical totality which posits itself as self-subsisting, transforms itself into the subject, and which (since it must be self-subsisting) identifies and confuses itself acritically with the particular, turning the latter – i.e. 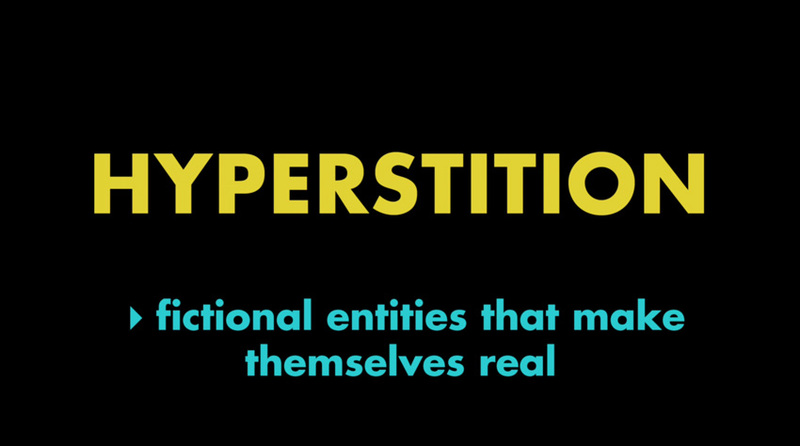 the actual subject of reality – into its own predicate or manifestation’ (198). Again, this is not a merely logical but a real process. To return to the earlier remarks on Meillassoux’s attempt to revive the Enlightenment war on fanaticism within his broader critique of correlationist fideism, what Marx’s notion of real abstraction permits us to think – and the reason why it is an important advance with respect to the idea of ideology as a merely cognitive matter – is that ideologies, including those of correlationism, fideism and fanaticism, are social facts. In trying to maintain the speculative sovereignty of philosophical reason, albeit advocating a principle of unreason and breaking correlationist self-sufficiency, Meillassoux can be seen to reintroduce idealism at the level of form at the same time as he valiantly seeks to defeat it at the level of content. In two senses. First, by presuming the possibility of drawing ontological conclusions from logical intuitions – something which can be registered in the inconsistent use of the notion of the absolute: as the absolute absolute of the logos of contingency, and as the relative absolute of the entity severed from correlation. The former, logical absolute leads to a variant of Hegel’s transubstantiation of material or effective causality into a moment within ideal causality – though of course in Meillassoux this is explicitly an acausality, stripped of teleology. Second, by presuming that a speculative philosophy in conjunction with a mathematised science can struggle against abstractions that are perceived as mere errors of the intellect, and not as abstractions that have any basis in a social, material and extra-logical reality. Logical form undermines materialist content, the struggle against finitude reproduces the ideality of the finite, the intellectualist defence of the Enlightenment conceals the reality of abstractions. 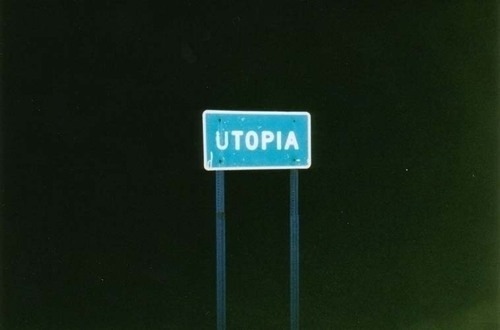 The antidote to a post-Kantian catastrophe threatens to be a neo-Hegelian reverie. 1. There is a further convergence in these two attempts to recast materialism. As their discussions of non-contradictions suggest, both rely on a preliminary ‘atomization’ of things, objects and laws. In the case of Meillassoux one could perhaps critically refer to Anton Pannekoek’s critique of Materialism and Empirio-Criticism in Lenin as Philosopher: ‘for Lenin “nature” consists not only in matter but also in natural laws directing its behaviour, floating somehow in the world as commanders who must be obeyed by the things.’ In order for Meillassoux’s reasoning to operate, is there not a need to pre-emptively reduce the real to a domain of entities rather than relations, such that arguments based on the principle of non-contradiction can have their purchase? And is there not a parallel weakness in Colletti’s refusal to consider the point that a materialist ontology may be concerned with processes, not things? Senselogic by Cengiz Erdem is licensed under a Creative Commons Attribution-NonCommercial-ShareAlike 4.0 International License.